Savon knew he wanted a ripped body, but he kept getting stalled on the path to fitness perfection. Read on to see how he overcame his unhealthy habits and achieved his dreams. When I was 13 obsessed with having abs. This obsession coupled with my lack of lifting and dieting knowledge would prove to be deadly (or just incredibly unhealthy). I would do hundreds of sit-ups of varying types each day. I was convinced that eating nothing was infinitely better for fat loss than a clean healthy diet. I was constantly dehydrated, and constantly admitted to the hospital for malnutrition. Eventually I figured I was doing it wrong and decided start lifting and eating right. 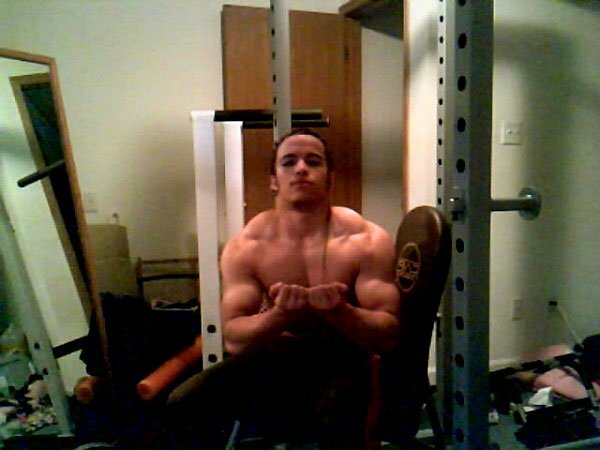 For my 14th birthday/Christmas I got a weight bench and a laptop. With these tools I slowly changed my ways; going from the twig with abs to the athletic/muscular individual that I am today. You need to have goals set and a plan of action to reach said goals. No matter how half assed they are. You don't need an exact destination or route but you need to move in the right direction. Once Savon ditched his obsession with abs, the real progress began. For my 14th birthday I received a weight bench, a curl bar, and about 60 pounds of weight. 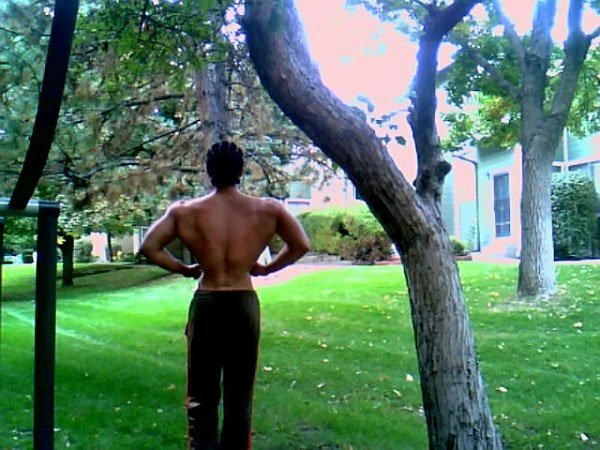 Even though I was eating better, had access to the internet, and was a member of Bodybuilding.com I was still ignorant when it came to lifting. I was basically just benching, doing pull ups and sit-ups for the first few months. After I started seeing gains I realized that I needed to work every muscle group or I'd look ridiculous. About 4-5 months in I was on a 5-day split and eating more normal amounts for a kid my age. A huge factor in lifting is motivation. If you don't have it you won't make progress, simple as that. The biggest challenge I have faced so far was depression. 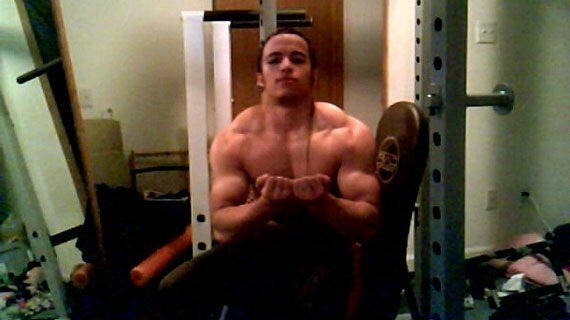 I stopped lifting for 8 months because of it. The more I atrophied the deeper I slipped into depression and the less I felt like lifting. I stopped eating right, my grades dropped, I was sleeping 12-plus hours a day, I was getting sick a lot more often than I should as a result of not eating enough, and just couldn't find the motivation to do anything. I eventually got so small that I looked in the mirror one day and saw the old skinny unhealthy me. I had vowed not to return to that size ever again but I had and it was tearing me up inside. I got the motivation to start lifting again because I was so displeased at what I had let myself become. Staying motivated and consistent is both the hardest and most important thing when it comes to lifting. That's not a Christmas tree - that's Savon's diamond-shaped back. Note: This is a day that I work on whatever I think needs the most work, or whatever I feel like working that day. Do your research! Wanting to lose weight or gain muscle is great, but if you don't know what you are doing you are setting yourself up for failure.